You’ll find outdoor adventures like the famed hike, the Tour du Mont Blanc, to travel guides on lesser known regions in France. Your travel guide to Paris. Find out what to see and do, what to eat and where to stay. Architecture, art, fashion, gastronomy and culture await! Are you interested in a house boating holiday in France? Look no further than the Mayenne. It's located in northwest France and is part of the Pays de la Loire region and named after the Mayenne River. Are you interested in a house boating holiday in France? Look no further than the Mayenne. It’s located in northwest France and is part of the Pays de la Loire region and named after the Mayenne River. 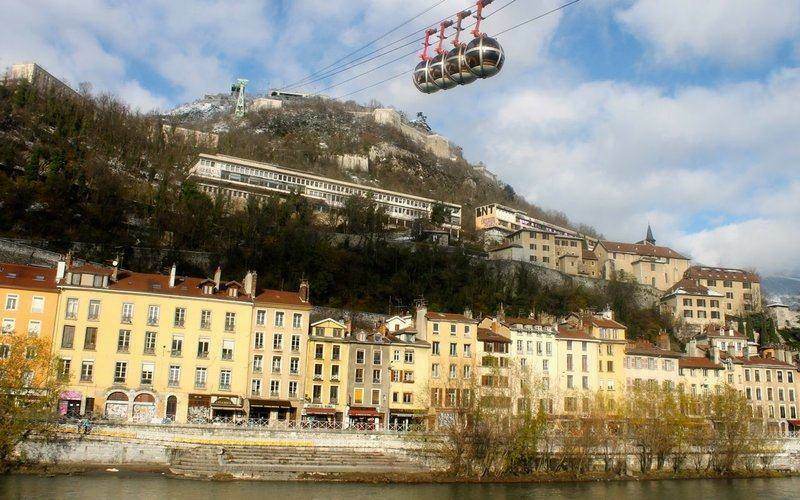 The #1 thing do to in Grenoble France offers something for everyone of all ages and interests. Heck you can even get married there..or just enjoy the view. The Festival of Lights in Lyon is simply breathtaking with 70 different light installations located throughout the city. It's held in December each year. The Festival of Lights in Lyon is simply breathtaking with 70 different light installations located throughout the city. It’s held in December each year. Île d'Aix (Isle of Aix) is just a short ferry ride from mainland Poitou-Charentes. It's the ultimate place to relax on the west coast of France. Île d’Aix (Isle of Aix) is just a short ferry ride from mainland Poitou-Charentes. It’s the ultimate place to relax on the west coast of France. 5 reasons to visit Strasbourg, France, a charming UNESCO city in Alsace.